There are only three weeks left until Christmas and you still don't have your Christmas cards? That's ok. I don't either! 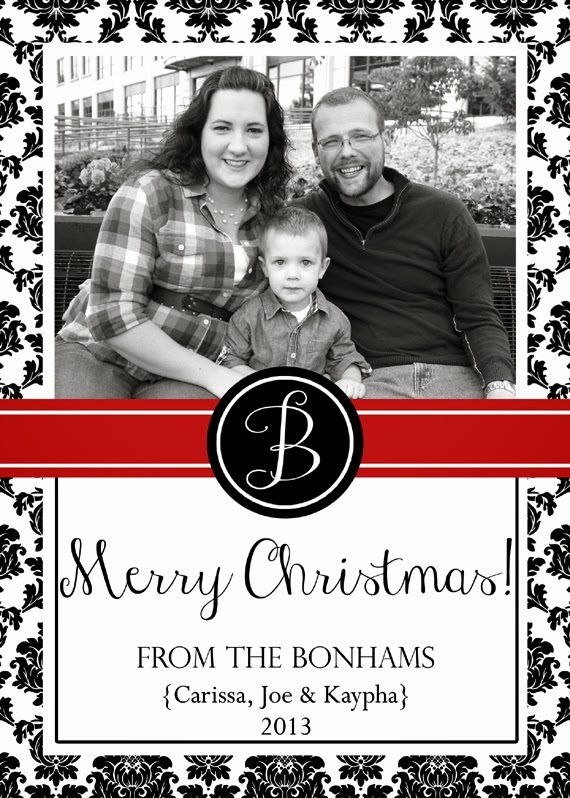 I did, however, get one step closer to having cards by designing these photo card templates for you. 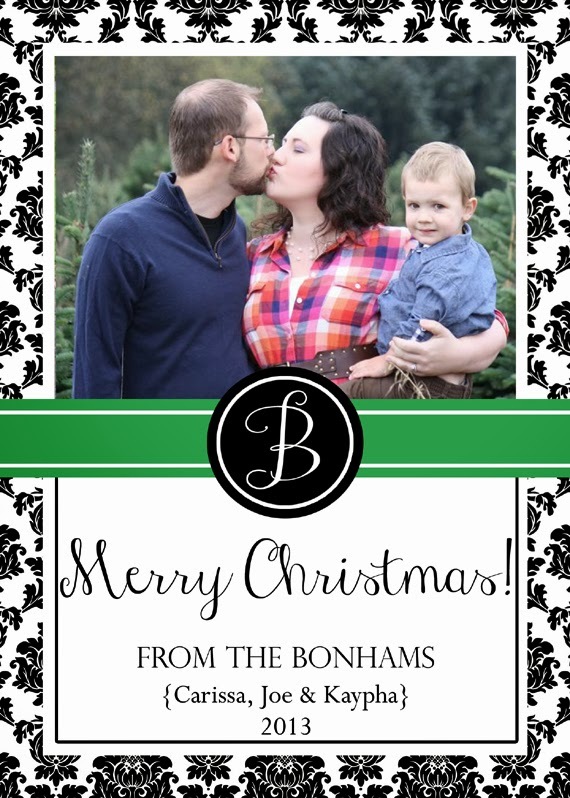 These templates are totally customizable - add your own photo, change the monogram and names. You can even change the greeting from "Merry Christmas!" to something else if you prefer. *Please note that I am providing these links to third party font websites as a courtesy to you to help you locate the fonts if you do not already have them on your computer. These sites are not managed by or in any way affiliated with Creative Green Living and by following these links, you are agreeing to hold this site and site owner harmless. Creative Green Living cannot accept any responsibility for any viruses or other bad things that might happen to you or your computer as a result of following these links or downloading files from these sites. Only download files from sites you trust. 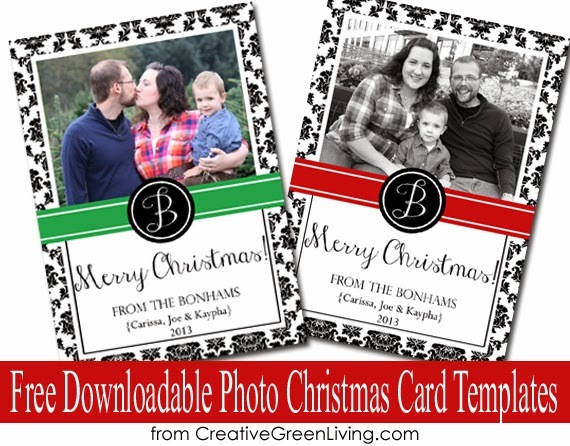 Want more downloadable photo cards? Check out the four cards I designed last year, which are still available for download.